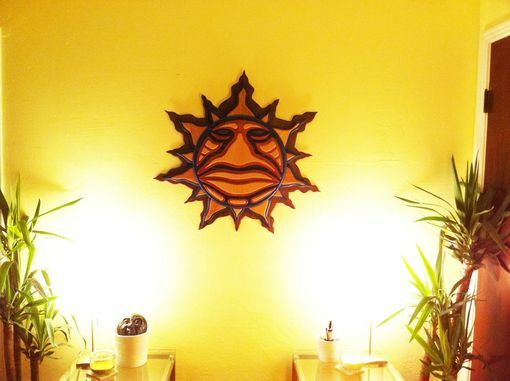 This multilayered sun consists of over 55 individual pieces! - The back layer is cut from 1/4" birch and stained with a medium brown woodstain. 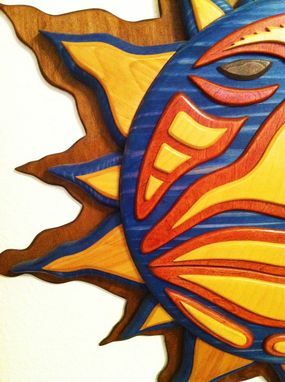 The woodgrain shows through very subtly on this layer which provides the base and hanging mechanism for the entire piece. 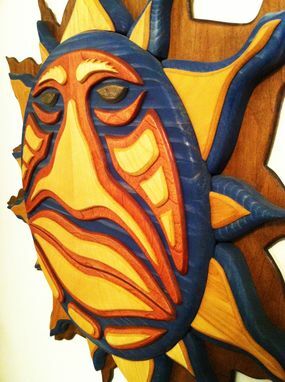 - The second layer of 14 sun rays and round base for the features consists of 1" pine wood stained with a deep blue. 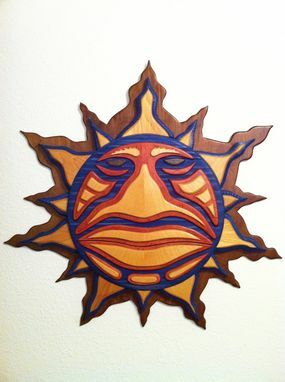 - Layered on these are 14 more inner sun rays cut from 1/4" birch and lightly stained to let the medium brown grain of the wood provide most of the color. 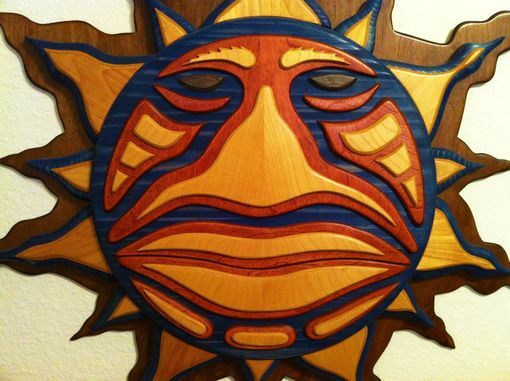 - The features of the face are individually cut and sanded from 1/4" birch with great detail. The back layer of features is stained a medium red and the top most layer is stained natural to provide a contrast the blends well with the rest of the piece.